SNAFU! 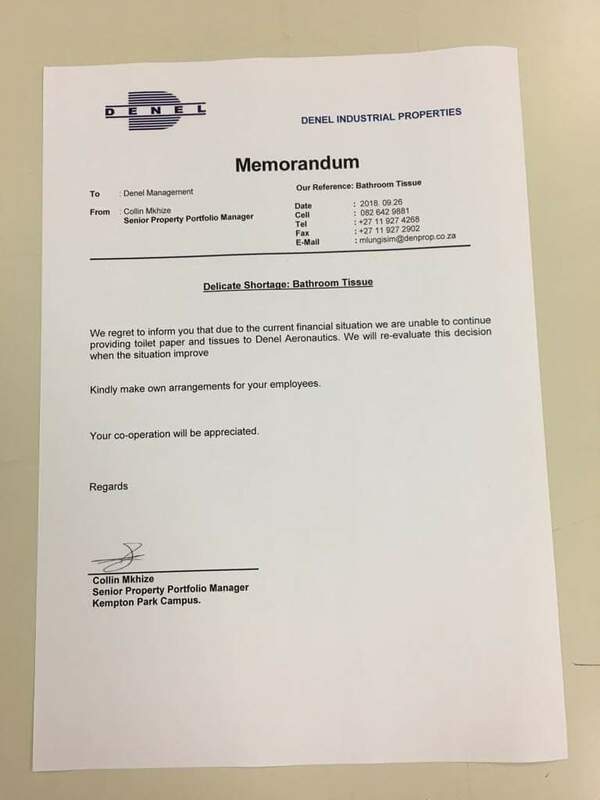 : Denel is so broke they can't buy toilet paper...I hope to God this is a joke! Denel is so broke they can't buy toilet paper...I hope to God this is a joke! via Isaac Mangena's Twitter Page! This guy seems legit so I don't think this is a joke although I hope to God it is! Denel is a state supported entity and if they've suffered this type of mismanagement that speaks for a pretty terrible situation developing in S. Africa. Spare me the plight of farmers. I don't want to dig into the morality of that situation. You make your own judgement. I don't want to hear it. What is undebatable is the dire situation this company is in. Can't afford to buy toilet paper? That's batshit crazy!